Two major arms sales were announced over the weekend. First, the US announced that it is planning to sell Saudi Arabia $20 billion in advanced weapons systems, including Joint Direct Attack Munition kits or JDAMs that are capable of transforming regular gravitational bombs into precision-guided "smart" weapons. Largely in an attempt to neutralize Congressional opposition to the proposed sale, the Bush administration also announced that it plans to increase annual military assistance to Israel by some 25 percent next year and that it hopes that next year's increase in assistance will be maintained by the next administration. The second arms sale was the reported Russian agreement to sell Iran 250 advanced long-ranged Sukhoi-30 fighter jets and aerial fuel tankers capable of extending the jets' range by thousands of kilometers. Russia's massive armament of Iran in this and in previous sales over the past two years make clear that from Russia's perspective, all threats to US interests, including Shi'ite expansionism, work to Moscow's advantage. ON THE face of it, these contrasting US and Russian announcements seem to signal that geopolitics have reverted to the Cold War model of two superpowers competing for global power by, among other things, assisting their proxies in fighting one another. Yet, today the situation is not the same as it was before. Today, the US finds itself competing not only against an emergent Russia, but against Iran, and the Shi'ite expansionism it advances. Moreover, it finds itself under attack from Sunni jihadism, which is incubated and financed by Saudi Arabia, America's primary ally in the Persian Gulf. The US's proposed arms sale to Saudi Arabia has raised pointed criticism in Israel and among Israel's supporters in the US. As senior defense officials told The Jerusalem Post Monday, the JDAM sale to Saudi Arabia constitutes a strategic threat to Israel which has no way of defending itself against JDAM capabilities. To assess the reasonableness of Israel's opposition to the proposed sale, and to understand the sale's significance against the background of emerging regional and global threats to US national security interests, it is worthwhile to revisit US actions toward Israel and Saudi Arabia during the Cold War when checking Soviet expansion worldwide was the main goal of US foreign policy. THE US held Israel at arms length until after its stunning victory against Soviet clients Egypt and Syria in the 1967 Six Day War. In the aftermath of Israel's victory, the US realized that Israel was a natural ally in checking Soviet power in the Middle East. As a result, in 1968 it began providing Israel with political and military aid. This policy paid off in spades in the 1973 Yom Kippur War and in the 1982 Lebanon War when the IDF handily beat the Soviets' proxy armies. Indeed, from the US perspective, there was no downside to supporting Israel. 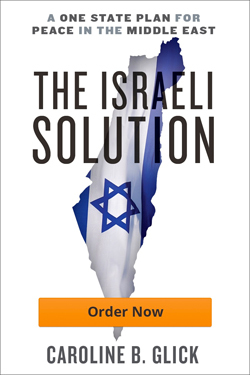 Israel's patent lack of expansionist ambitions ensured that the US would suffer no ancillary blowback for its support. The US-Israel alliance's central weakness was US's perception of Saudi Arabia as its strategic ally. This weakness came to the fore most prominently in 1981 with the Reagan administration's decision to sell AWACs spy planes to the Saudis. As is the case with the US's current proposed arms sale to the Saudis, back then Israel perceived the AWACs sale as a strategic threat to its national security. Yet, since checking Soviet expansionism rather than securing Israel was the US's primary strategic aim, and since the US perceived Saudi Arabia as an ally against Soviet expansionism, the Reagan administration pushed the sale forward against Israel's strenuous objections. In the end, the AWACs were not used against Israel. Yet by the same token, they also did nothing to curb Soviet expansionism or advance any other US interest. During the 1991 Gulf War, the Saudis played no effective combat role against Iraq. The main Saudi contribution to the US's victory in the Cold War was its willingness to finance the mujahadeen in Afghanistan who fought the Soviet invasion. There can be no doubt that the rout of the Soviet military in Afghanistan played a central role in causing the dissolution of the Soviet empire. But there is also no question that the blowback from the war in Afghanistan has been enormously detrimental to US national security and to global security as a whole. The mujadaheen's US-armed and Saudi-financed victory against the Soviets in Afghanistan fed the aspirations of Saudi supported Sunni jihadists. It spawned al-Qaida and provided arms and combat experience to forces that would come back to haunt the US. SO AS far as the Middle East and Central Asia are concerned, a primary lesson of the Cold War relates to the relative weight the US can securely place in its alliance with Israel on the one hand, and its alliance with the Saudis on the other. Israel used US support in a manner that advanced both Israel's national security and US geopolitical interests with no blowback. The Saudis were either inconsequential, or advanced US interests in a manner that caused enormous blowback. Today as the US faces Russian hostility, Iranian expansionism and Saudi-financed Sunni jihadists, it remains afflicted by the Cold War dilemma of the relative importance of its alliances with Israel and Saudi Arabia. On the face of it, given that today the potential for blowback in supporting Saudi Arabia is far higher and eminently more foreseeable than it was 25 years ago, it should seem clear that in assessing its strategic assets and interests in the region, the US would place far greater weight on its alliance with Israel. Unfortunately, today the Bush administration is behaving counterintuitively. It pursues its alliance with Saudi Arabia with vigor while eschewing and downgrading its alliance with Israel. The administration's hostility toward Israel is not limited to its intention to arm the Saudis with weapons capable of destroying Israel's strategic assets in the Negev. It is also actively pressuring Israel not to defend itself against Iran and its proxies. Since the Second Lebanon War last summer, the US has pushed Israel to take no action against Iran's proxy Hamas on the one hand, while pushing Israel to empower Fatah, which has its own strong ties to Iran and to Hamas, on the other. By pressuring Israel to enact a policy of capitulation toward the Palestinians in Judea and Samaria, similar to its capitulation to the Palestinians two years ago in Gaza, the Bush administration is advancing a policy that if implemented all but ensures Iranian control over the outskirts of Jerusalem and Amman. THERE ARE two principal causes of the US's coolness toward Israel and warm embrace of the Saudis. First, the administration's failure to achieve its goals in Iraq strengthened the influence of the Saudi's Cold War proponents. These proponents, led by former secretary of state James Baker's disciples Secretary of State Condoleezza Rice and Secretary of Defense Robert Gates, advance their Saudi-centric agenda while paving the way for a US withdrawal from Iraq without victory. In the Baker camp's view, the best way to facilitate a pullout is by strengthening the Saudis so that they can perhaps prevent a post-US withdrawal Iraq from devolving into an Iranian colony. tegic ally and oppose the Saudis, while strengthening Israel's Baker-inspired foes who view Israel as a strategic liability. The Olmert government's enthusiastic embrace of capitulation as a national policy toward the Palestinians in Judea and Samaria merely serves to strengthen the US view that Israel is a strategic liability rather than an asset. Yet the lessons of the Cold War, and those of the past 15 years remain clear. The Saudis remain at best fair-weather friends to the US, while Israel's strength or weakness directly impacts US national security and geopolitical interests. As was the case during the Cold War, so too today, the US's best option for checking Russian and Iranian expansionism and neutralizing Sunni jihadists is to back Israel. If the US were willing to understand the clear lessons from its Cold War experience in the Middle East, it would not be pushing Israel to weaken itself still further through land giveaways to Iran's Palestinian proxies. It would not be actively undercutting Israel's national security by supplying sophisticated weapons to the Saudis. It would be admonishing the Olmert government for its irresponsible behavior and exhorting Israel not to go wobbly because it is needed for the larger fight.